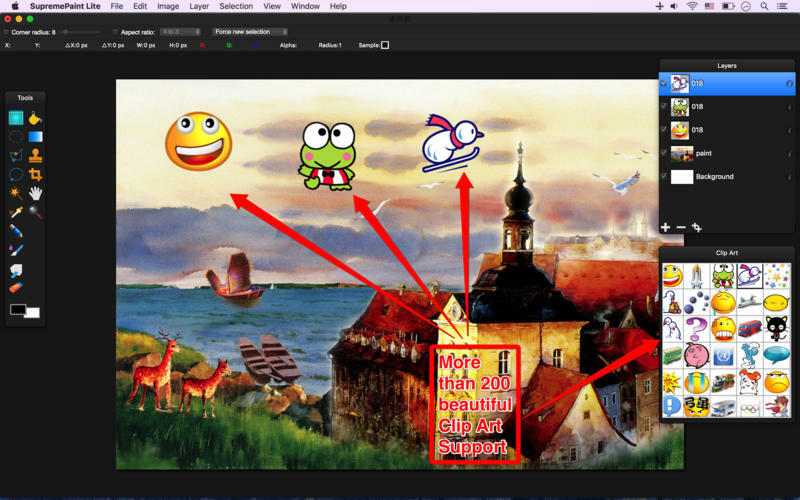 SupremePaint Lite is a fully functional image editor able to edit almost every kind of image file. It support more useful tools of image editor, such as Rect Select Tool, Ellipse Select Tool, Lasso Select Tool, Polygon Lasso Tool, Wand Tool, Pencil Tool, Brush Tool, Eyedrop Tool, Text Tool, Eraser Tool, Bucket Tool, Gradient Tool, Crop Tool, Clone Tool, Smudge Tool, Effect Tool, Zoom Tool, Position Tool. If you need more information please contact the developers of SupremePaint Lite (haiqiang Long), or check out their product website.